Talking bespoke artwork to celebrate special occasions with Amelia's Magazine contributor Isher Dhiman. 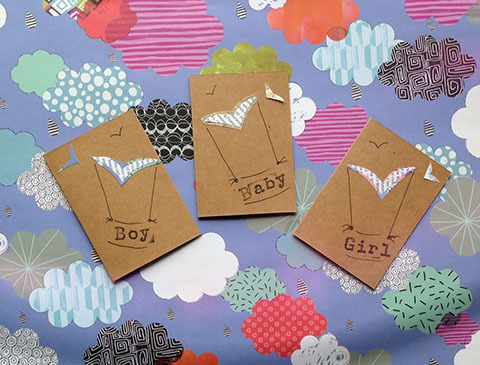 Baby Birth Cards by Little Playful Art. Alongside producing beautiful fashion illustrations for Amelia’s Magazine, illustrator Isher Dhiman has been making gorgeous bespoke artworks for special occasions under the name Little Playful Art. 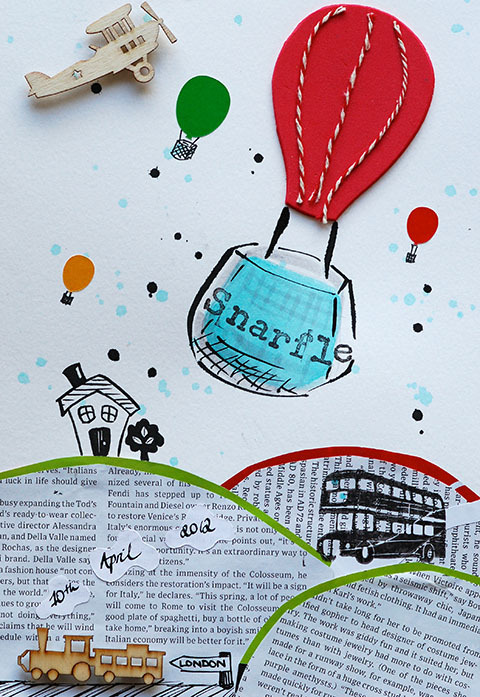 I caught up with her to find out what inspires her and how she creates her commissions, including a special one for Snarfle, who loves all types of transport, below. 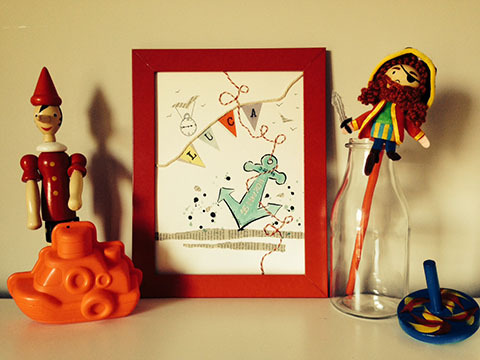 Snarfle Birth Keepsake by Little Playful Art. Where did the idea of Little Playful Art come from? It’s funny as it was not something I had planned on doing, it kind of just happened. I was going to my friend’s son’s Baptism and wanted to gift something special, and not liking anything in the shops I decided to make a birth keepsake as I thought it would be a nice gift that could be cherished. My friend loved it so much as did others and encouraged me to start making more saying they would pay money for something so bespoke and handmade, they all loved it and I was really spurred on to continue and make different types of designs. I was also sick of seeing generic so called “art pieces” online that are just computer generated and they are charging so much for just a print. I felt I could create something beautiful, handmade, personalised and bespoke to the individual for an affordable price…. and Little Playful Art was born. I continued to make handmade cards in addition to keepsakes for all occasions such as Mother’s Day, Valentine’s Day, Christening, Birthday cards…. etc. Any momentous occasion deserves a beautiful handmade piece, which can be cherished forever. 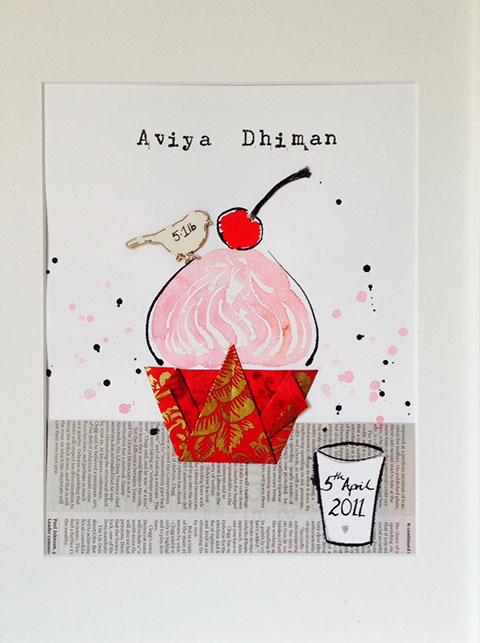 Cherry Cake keepsake by Little Playful Art. Christening Birth Keepsake by Little Playful Art. How is each piece created? Each piece is a unique piece created using a combination of origami using specialist paper, hand painted illustrations using watercolour and ink, wooden embellishments, collage and up cycling old books and maps that I hunt down in charity shops (but would not say no to the gorgeous paper at Liberty either). I also discuss the theme and welcome suggestions for including sentimental treasures into the art pieces, such as a cutting from a newspaper from the day of birth, a hospital tag, an airplane ticket, receipt from a restaurant…. anything personal that will give the artwork that special touch. For example, for a wedding keepsake recently I used a print out of the wedding initiation to make the origami butterflies. I take inspiration from books, people watching, TV, online, magazines… inspiration is everywhere if you look for it. 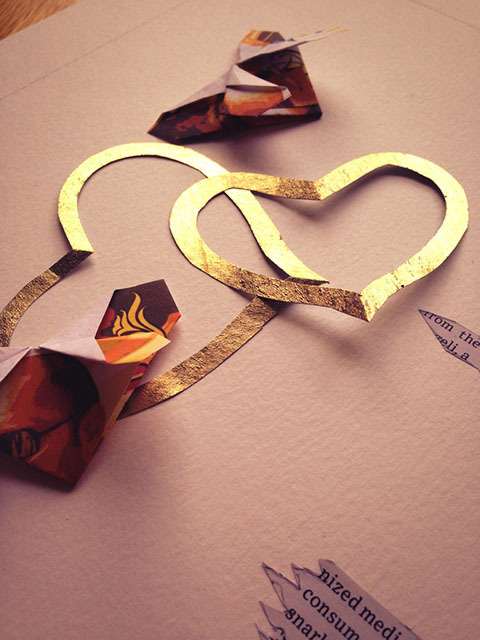 Gold hearts Wedding Keepsake by Little Playful Art. 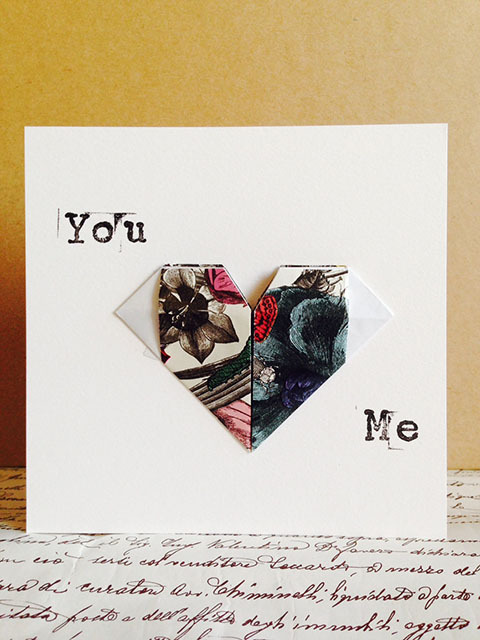 Origami heart Love Card by Little Playful Art. Where does your interest and knowledge in origami stem from? I’ve always had an interest in all things creative from a very young age, painting, drawing, photography, origami…. and I remember as a child clearing the ‘arts and crafts‘ section at the library to self teach myself drawing people or folding origami birds at home. I was fascinated with the art of folding paper and memorised quite a few pieces and the flapping origami bird became my party trick, as I would create it out of a receipt or napkin whenever we were out at a party or restaurant in a matter of seconds. 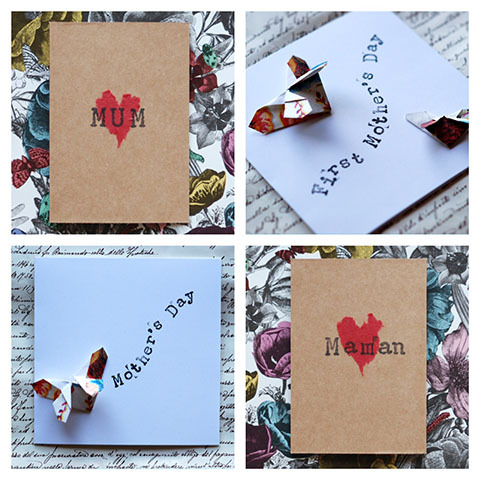 Mother’s Day Cards by Little Playful Art. What have been the nicest or most memorable projects that you have worked on so far? They have all been great, as each piece I create is completely new and it’s a creative challenge so I have enjoyed them all. 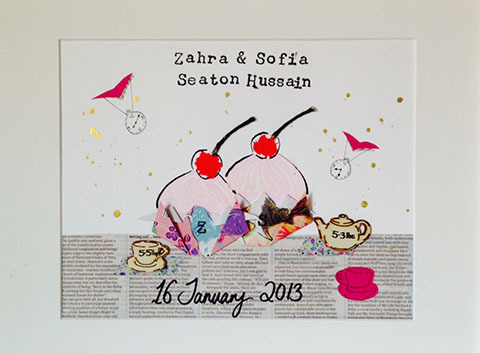 But recently I was asked to create a birth keepsake and christening gift in one art piece. The client wanted to include the birth date but also the christening date and wanted to reflect the birth in London but also include their current residing country. This was a creative challenge for sure but I really enjoyed it and was very happy with the result, as was the client. Twins Cupcake Keepsake by Little Playful Art. 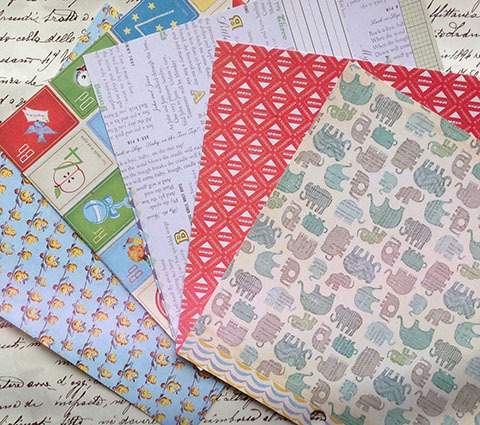 Paper designs used by Little Playful Art. What iconography do you find yourself returning to time and again, and why? I feel I am drawn to drawing clocks and also use a lot of hand cut birds in most of the art pieces. I feel this may be stemmed from the fact that I have a hand painted birth keepsake plate for my own birth, which my mother bought in the hospital on the day I was born. It has a stork carrying a baby and a clock with the time of birth. It is hand painted in blue ink, very traditional looking. 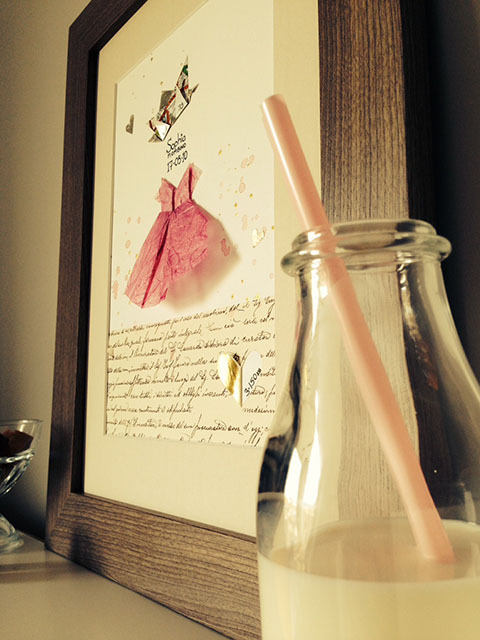 Princess keepsake by Little Playful Art. 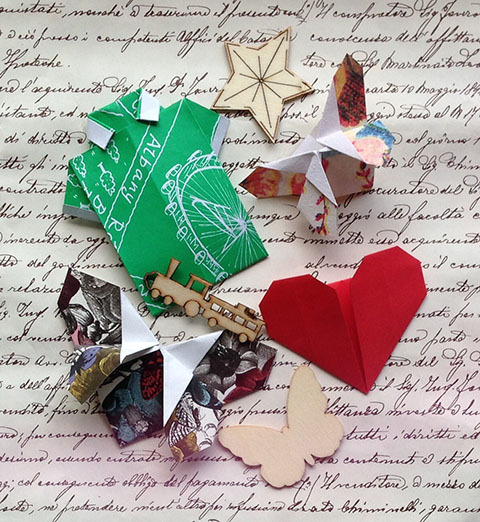 Various Origami by Little Playful Art. You also make beautiful fashion illustrations (which you can see here), who inspires your style the most and how do you create these? Thank you. I think my style is ever evolving but I have to say my top inspiration has to be David Downton. I love his effortless mark making and ability to create beautiful fashion images with a few clever skilful brush strokes. I also love the fun illustrations by Jacqueline Bissett. Other illustrators whose work I love and take inspiration from – Rene Gruau, Kenneth Paul Block, Mats Gustafson, Kareem Illiya… to name a few. I also love Chinese calligraphy and love watching Chinese painting artists at work. My fashion illustrations are usually created using watercolour and inks but I do like to experiment (a lot) and I do dabble in some collage and like to use gold leaf and marker pens, masking fluid…. etc. It’s dangerous to be let loose in an Art shop as I tend to buy things I don’t need but I just love to experiment. Recently, I opened my box of pastels, which have not been touched in many years, but it’s all about experimenting and having fun. Anchor Keepsake by Little Playful Art. 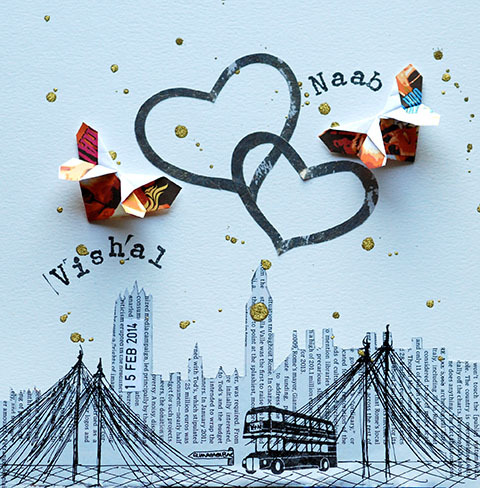 Wedding Keepsake by Little Playful Art. Do you have any tips for juggling your career as an artist and a mother? Time management is very important and making to do lists that are realistic and achievable. Always remembering that as well as being a mother, you are a person in your own right and that you have to do what makes you happy and if you are happy in yourself then everything around you feeds off your positive energy. Find Little Playful Art on etsy, and keep up with Isher’s latest projects on twitter here. Her bespoke artwork is rather fabulous, don’t you agree? 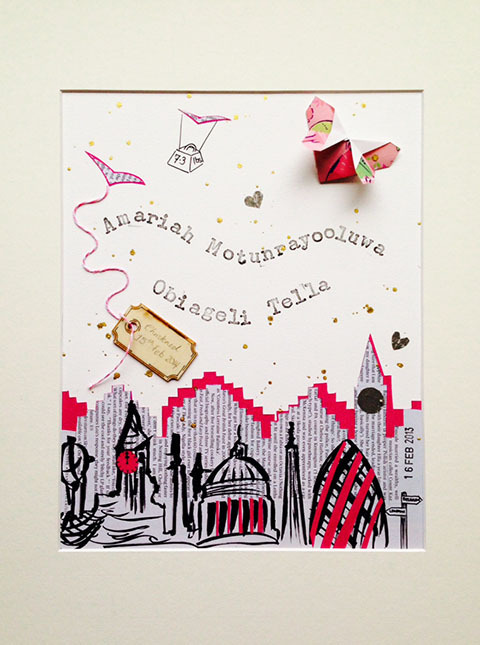 And even better, Amelia’s Magazine readers can get 10% off anything they order with the code is AMELIA2014.